I make these and freeze them. Put them in my lunch box for a snack or breakfast when I get to work. I use whatever veggies I have on hand. I include onions and garlic for the PRE-biotics! 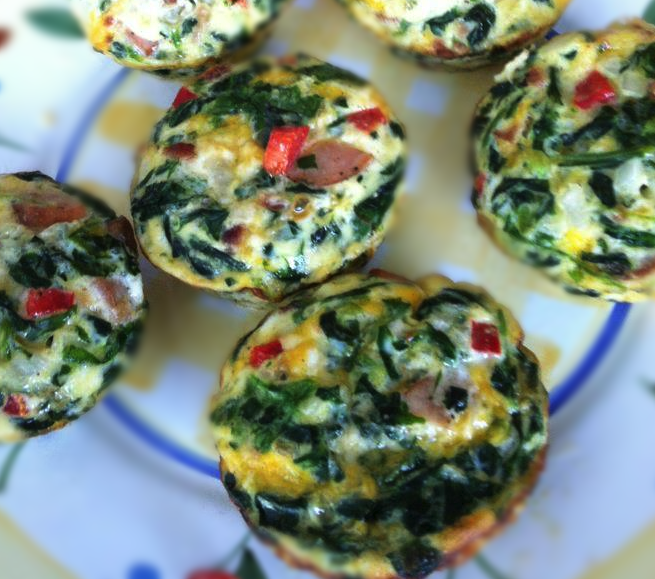 Paleo, gluten free egg muffins by @myinspiredeats http://t.co/YKl42kSM Had a couple for breakfast today. Easy, customizable, delicious. 1 Pings/Trackbacks for "Paleo, gluten free egg muffins"